I was blessed to grow up in a solid Christian family, and I was saved at a young age. As with many Christian youth, during my latter years in high school I began to drift away from the Lord, focusing on earthly gain, success, and obtaining the “American dream.” I was still a Christian, going to church every Sunday, but my heart was far from the Lord. Finally, while in my junior year of college, the Lord made it clear to me that having earthly possessions and status is totally unfulfilling. He used a difficult time in my life to open my eyes and show me that real abundant life is found only in a close relationship with Jesus. Since that time, the Lord has blessed me with a wonderful family: my wife, Sarah; daughters, Abigail and Ruth; and sons, James and Seth. The Lord has blessed our family in so many ways and we want to serve God with everything. We’re blessed to be able to serve in the Media Ministry, as well as with the Worship, Evangelism, and Children’s Ministries. Live Sound – Ensuring the word of God is clearly heard and that the congregation is able to praise and worship with the Worship team. Projection – Providing various forms of projected media, such as worship lyrics, church announcements, and special videos. Audio/Video Recording – Recording the audio and video and providing the master DVD, CD and digital formats for duplication. We also provide the recorded messages online via the website (https://ccdeltapa.com/messages) and podcast (https://itunes.apple.com/us/podcast/calvary-chapel-delta-podcast/id535848286). Lighting – Operating the lighting system to create the ideal atmosphere without distracting from worship and the Word. Live Streaming – For those who can’t attend services in person, we also stream each service live on the internet (https://www.sundaystreams.com/go/ccdeltapa). Archived services can be viewed there as well. There are many opportunities to serve in the Media Ministry. Please contact me if you are interested. Noah leads the Sound/Media Ministry. 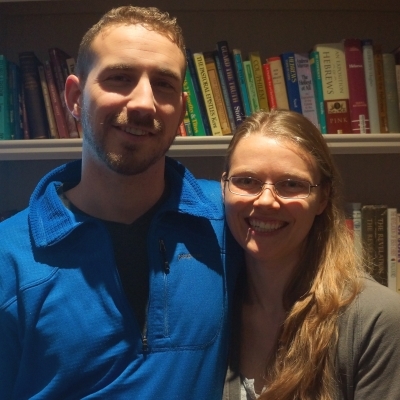 Noah and his wife, Sarah, also serve as part of the Pastoral Care Team.